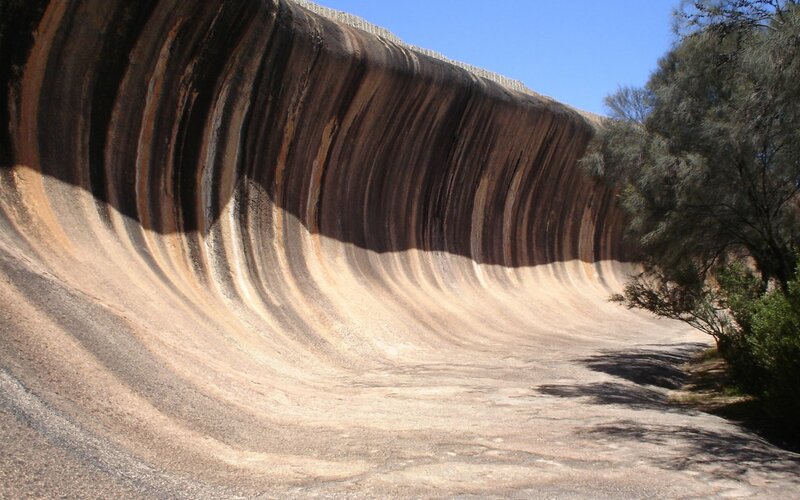 Wave Rock is a natural rock formation that is shaped like a tall breaking ocean wave. 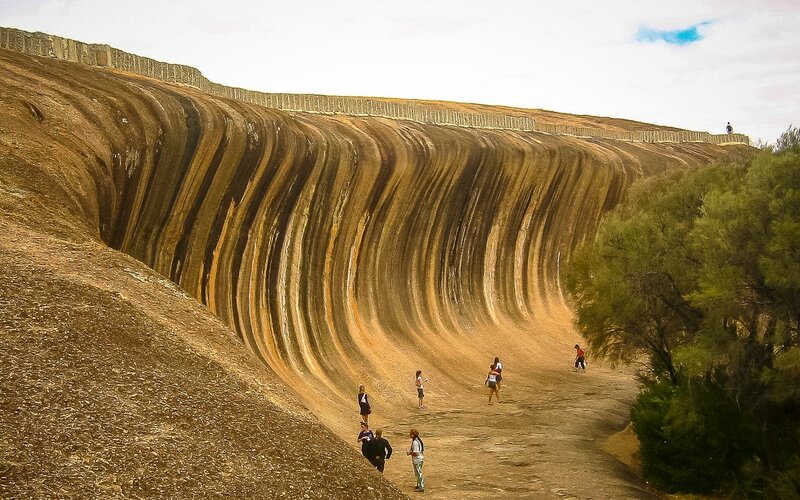 The "wave" is about 15 m high and around 110 m long. 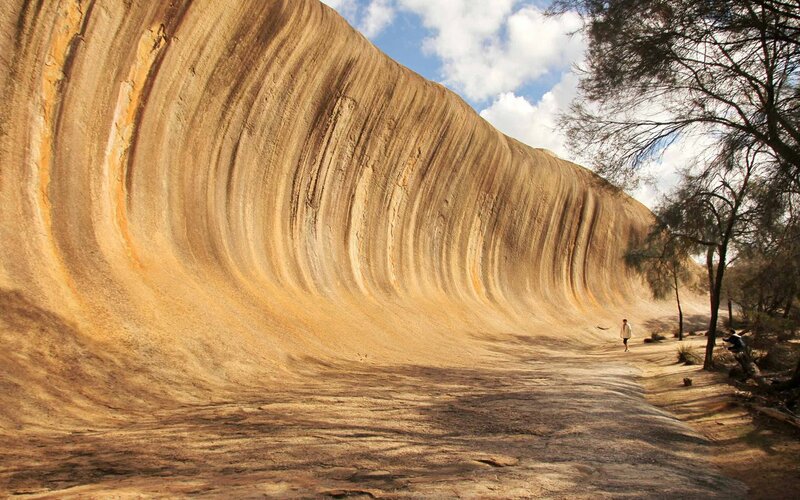 It forms the north side of a solitary hill, which is known as "Hyden Rock". There is a $12 entry fee per vehicle to see the rock, be warned there are rangers who patrol the area looking for people who don’t pay!! 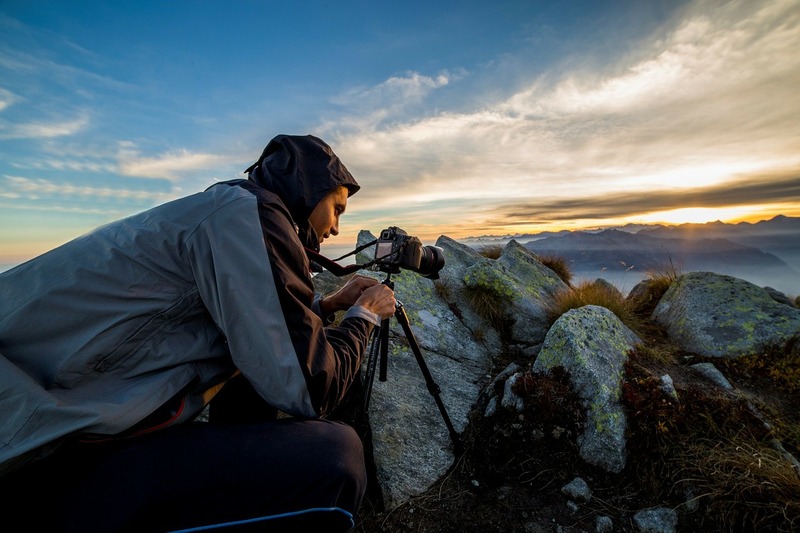 Bring your camera and water and allow yourself an hour to see the Wave then walk around to Hippos Yawn which is only a short walk back to the car park where you began. The sound of the wind in the salmon guns is very peaceful.